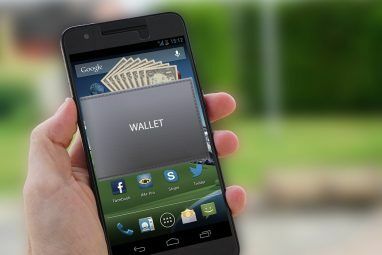 Many Android users have noticed that their service providers are trying to squeeze more money out of them. Most notably, many service providers have decided that tethering is no longer free and included in your contract. 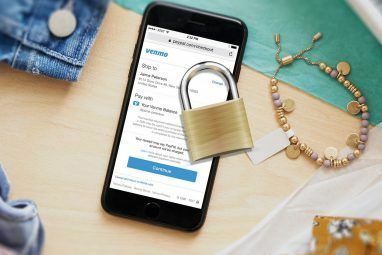 They prefer to charge an extra fee for the privilege of tethering, even though tethering is an expected right of an Android user and was previously available and included in the download limits of the phone contracts. While the backlash against these fees is yet to make them go away, users can at least use workarounds in the meantime. There are some great tethering applications available for Android which will get around the problem for now. EasyTether is quite notable because it’s available for all operating systems, easy to use and doesn’t require root access. Download and install EasyTether Lite in order to see if it works for you. Later you can upgrade to the paid version of EasyTether if you want the extra features, like HTTPS, instant messenger and XBox tethering. Personally, I find the paid version of EasyTether (€ 7) costs exactly the same price as one day of tethering access through my provider. That’s value for money. Firstly, turn off any other automatic tethering options your phone has set up, such as Mobile Broadband Connect (Verizon) and Internet Sharing (Sprint). In order for this to work, we need to disable your normal tethering method. EasyTether works on Windows (Windows 7/XP/Vista), Mac (10.4+ including 10.7) and Linux (Ubuntu 10.4+/Fedora 13+). Simply go to the EasyTether drivers site to find the right software for your computer. EasyTether recommends that your phone not be plugged in to your computer while you install the drivers. 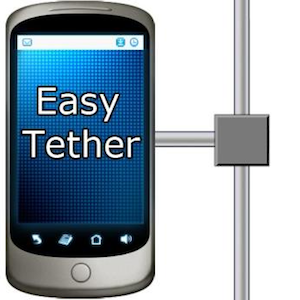 Plug your phone in and open the EasyTether application. Choose your operating system and tell the application that you’ve already installed the software. This next step will depend on your operating system, but essentially it involves setting up a new network for EasyTether on your computer. The phone application will guide you through the steps for your operating system. With Mac OS X it will automatically detect the new network interface and you can set things up by following the prompts. If it isn’t automatically detected, try rebooting the system or setting it up manually as follows. Find the network called EasyTether and ensure it uses DHCP to configure IPv4. On your phone, you should enable EasyTether to allow USB tethering. Sadly, EasyTether only works when connecting the phone to the computer via USB cable, which is a pain if your cable comes loose while you’re using the connection. But it works! For me this worked straight away, and worked whether the phone was using a Wi-Fi connection or 3G. At no stage did I get prompted by my service provider to pay extra for tethering, so this means success! 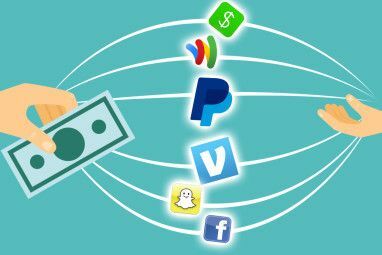 What’s your opinion on additional tethering fees? Should tethering be automatically included in smartphone contracts? Which tethering application do you use? Let us know in the comments! We're entering 2017, and yet tethering and mobile hotspot are still being debated! I don't get it! It's a simple, petty issue that providers are still complicating to justify charges! They confuse, withhold specifics, give contradictory answers, ayayay! In 2010, I had the cost of my cell phone, and the cost of usb modem for internet on laptop. Then i got a tablet, SPECIFICALLY to use its mobile hotspot, and eliminate the higher cost of usb modem, and now both tablet and laptop could access internet. Most of the time, I used the cable to connect them, which was called "tethering". Before my contract ended, I lost my tablet, and a sales rep suggested I get a smartphone with data, and use the hotspot for my laptop, (no tablet). Sounded obvious! Ha! What a nightmare runaround! Suddenly the hotspot was described as a "feature" (hahaha) meaning you had to pay for it. Then tethering was like something only data chipmunks could explain, but every single one sounded like they were foraging for nuts! I suddenly knew less than before I called! Finally went to the store, and that guy was my hero...ha! He knew that hotspot was priority. He got me a cheaper plan with all the features! I was bowing down to him as I was walking out. Just to be sure I said, "And I got my hotspot too, right?! His first line: "oh no, that's an optional feature, but you can add that on for an additional $15 a month!" He said "Oh wait, you can't get the hotspot with that plan." Ehhh, (as if he felt bad), because thats the Loyalty Plan." ..which meant nothing to me. "Thats because that's a special price plan for customers who have been with us. " Now I just go in and hold my hand out for them to chip me according to their will and save the confusion! I Have WMWiFiRouter, which worked great until I receive a letter from ATT telling me if I continue to tether, they will add it to my bill and cut my unlimited data (grandfathered) to 4GB. ATT says they see another device IP address which tells them I'm tethering. Does this app get around this issue??? I doubt it. I'm sure if ATT are looking at IP addresses they'll see the device this way too. I'm not sure what you can do. The full version gives you regular internet 3G access. Is it perhaps that your phone provider blocks these things generally? I want to tether my android phone to my xoom. Nothing seems to work. Any ideas? yep, best would be if you ask this on MakeUseOf Answers. I can't find it in the market...I'm guessing AT&T blocks this app. It is blocked, but you can get it via the Amazon Appstore, or by visiting the Android market while running your phone without your AT&T sim card. Yeah, sorry this solution won't work for those just yet.